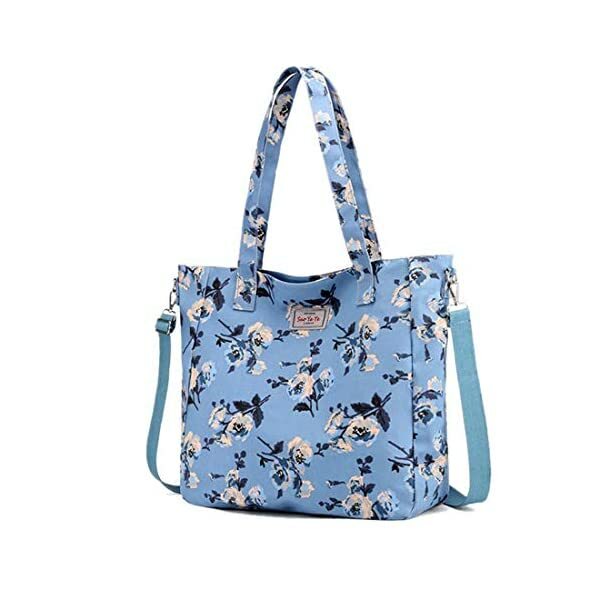 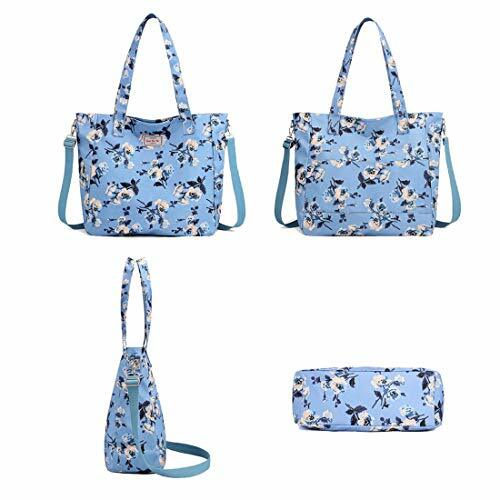 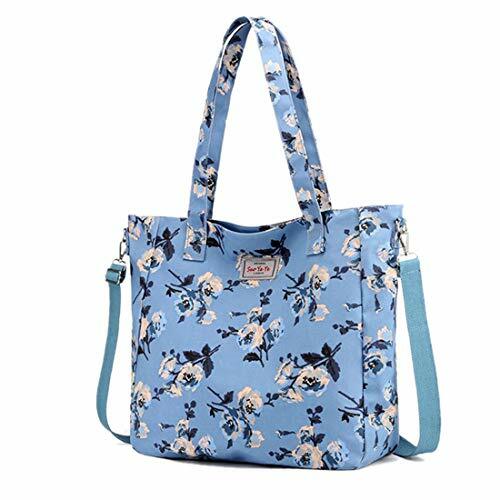 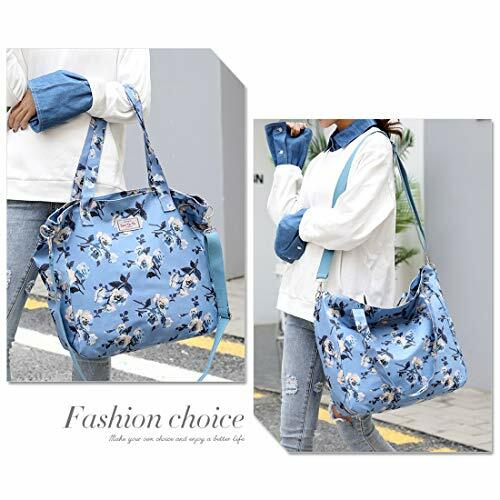 MATERIAL:Durable and lightweight Nylon fully lined fabric.Silver hardware metal with original flower pattern. 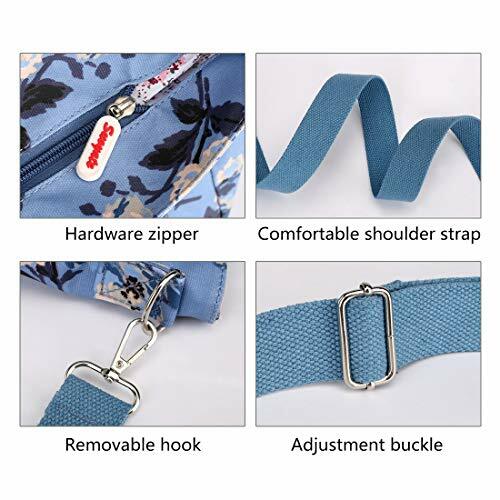 CONVERTIBLE CROSSBODY BAG :1 Detachable and removable shoulder straps ,2 top handle ,you can use it as a top handle satchel ,crossbody bag ,single shoulder bag ,messenger bag ,handbag purse . 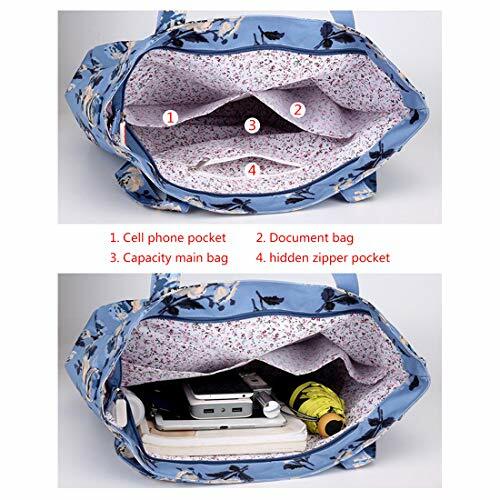 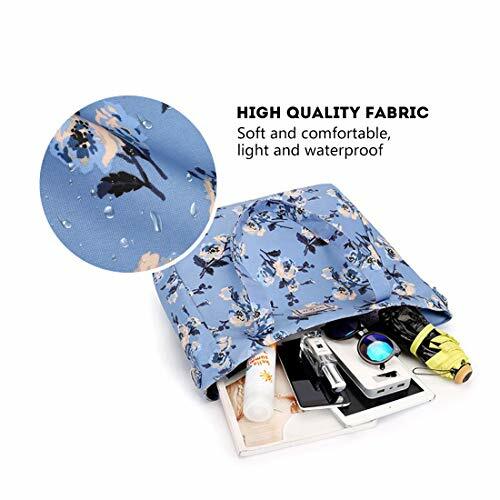 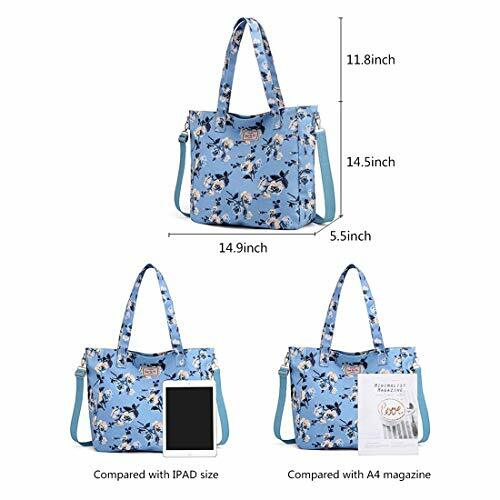 BIG CAPACITY POCKETS:1 Main compartment ,2 open slip pockets ,1 zipper pocket .Super capacity can hold your iPad/Smartphone/Water Bottle/clothes/books/pens/wallet/umbrella and other essential items.